HomeEnvironmentGadgetsLifestyleRenewable energySolar energyGoSun Go, a Solar Cooking in Clouds and Cold? GoSun Go, a Solar Cooking in Clouds and Cold? According to the UN, over 3 billion people, or 40% of the world are cooking on fuels that are harmful to their health, and creating harmful emissions that result in over 4 million people die prematurely especially women who cook for the family. Patrick Sherwin, the founder and CEO of a social organisation ‘GoSun’ has a mission to empower millions of people in developing countries with safe, clean and viable cooking solutions by tapping the power of the Sun. In past, the GoSun introduced the world’s first fuel-free solar-powered grill to bake, boil, fry or steam a meal for six in less than one hour. Since 2013, their breakthrough solar ovens have reached more than 15,000 customers in 60 plus countries across the globe. 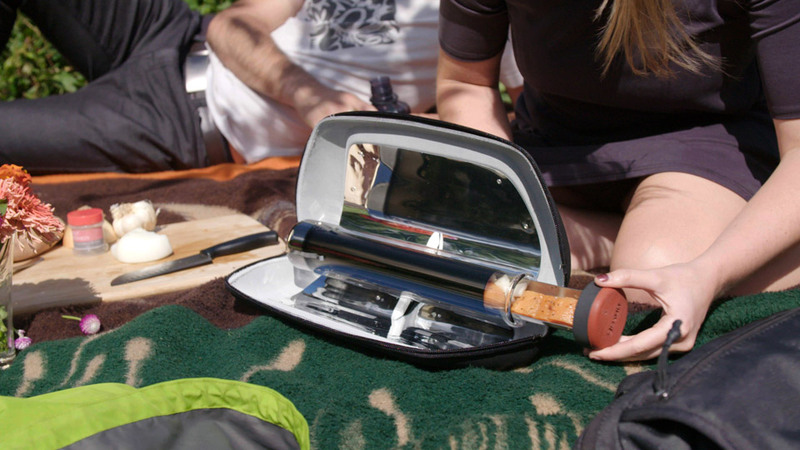 Now, the company has launched an innovative green product called ‘GoSun Go’ at Kickstarter which cooks most meals in just 20-30 minutes and has a capacity of 14 oz or 420 ml. Make your favourite tea or coffee in 30 minutes and it reaches a rolling boil in 45. GoSun's patented solar cooking technology absorbs a broad spectrum of radiation, including ultraviolet light, which can penetrate clouds when visible light cannot. This means as long as you have a bit of sun, you're there! 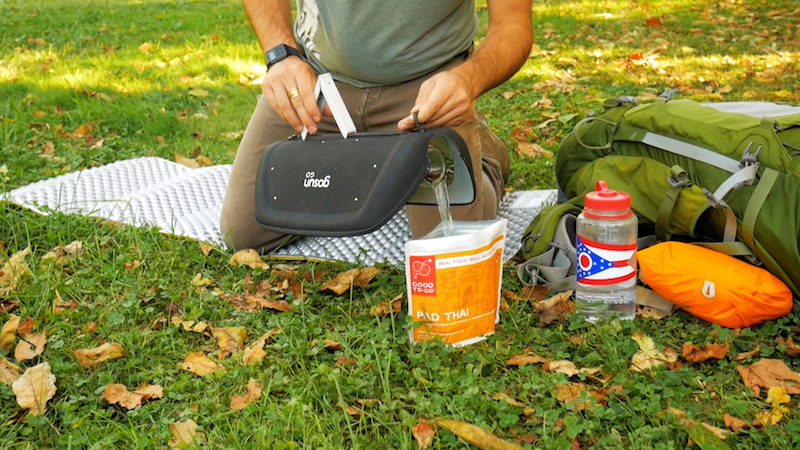 You can easily operate the GoSun Go, just adjust its base and set vertically to boil. A removable cap detaches from the tray handle to keep the heat in. Perfect for tea, coffee, dehydrated foods and sterilizing water. It packed with a shock absorbing EVA Foam Exterior, a perfect green energy product for your outing. It can completely submersible and saltwater tolerant makes it ready for adventure on land and sea. The sunlight from both direct and diffused sources is reflected by the Go's compound-parabolic reflectors onto a double-walled tube with a vacuum pulled inside. This tube then converts the light into heat that gives an estimated power output of 50+ Watts. The vacuum tube acts as a near perfect insulator which keeps the cold out and the heat in, enables it to cook in clouds also! The special material used for a tube that has an absorbing surface which leverages aluminium-nitride to absorb more than 80 percent of the radiation it hits. Isn't it a perfect cooking gadget for all your adventures, grab it and enjoy!